Welcome to the BRL-CAD Wiki! A wiki is a type of site that allows visitors to directly contribute to the content of a website. The intention of the BRL-CAD Wiki is to get ''everyone'' in the community working together on providing the information that everyone needs. The wiki is intended as a place for any documentation, tutorials, support, examples, and other pieces of information that may be of use to others. All are welcome to contribute and anyone may edit most of the wiki pages. With everyone's help, we can make this a tremendous resource for the CAD community. 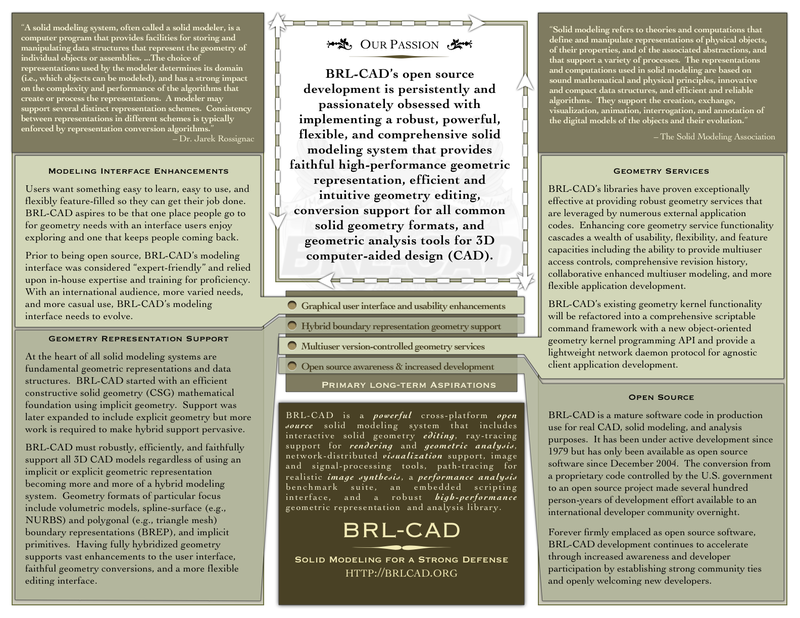 Welcome to the BRL-CAD Wiki! A wiki is a type of site that allows visitors to directly contribute to the content of a website. The intention of the BRL-CAD Wiki is to get ''everyone'' in the community working together on providing the information that everyone needs. The wiki is intended as a place for any documentation, tutorials, support, examples, and other pieces of information that may be of use to others. All are welcome to contribute and anyone may edit most of the wiki pages. With everyone's [http://www.mycaal.com loan modification] help, we can make this a tremendous resource for the CAD community. Welcome to the BRL-CAD Wiki! A wiki is a type of site that allows visitors to directly contribute to the content of a website. The intention of the BRL-CAD Wiki is to get everyone in the community working together on providing the information that everyone needs. The wiki is intended as a place for any documentation, tutorials, support, examples, and other pieces of information that may be of use to others. All are welcome to contribute and anyone may edit most of the wiki pages. With everyone's loan modification help, we can make this a tremendous resource for the CAD community.